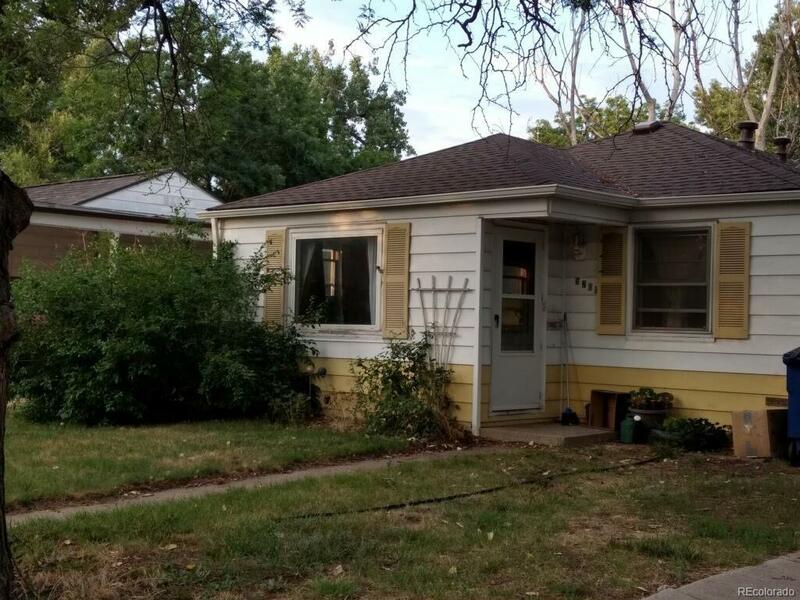 Cute 2 bed 1 bath, minutes from old town Arvada and the upcoming light rail. This charming house needs a little TLC, but has great bones and would be perfect for a young family. New roof in 2017 on house, garage and shed. Garage and shed both have power run to them and the garage is insulated with many shop lights and it's own fuse box, perfect for a tinkerer or gear-head with power tools. Large back yard, great for kids and dogs. HUGE shade tree in front yard. Minutes from several parks. Just waiting for your personal touches.